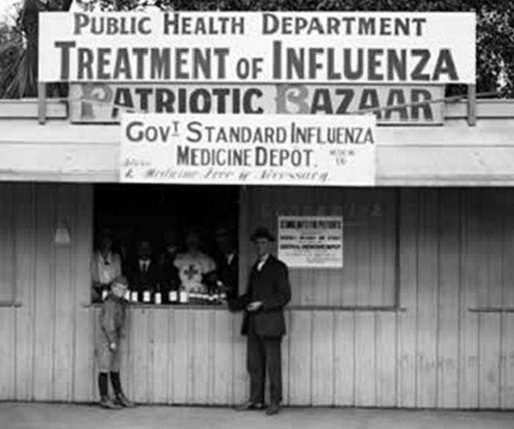 RTI is a proud to join UNC’s Gillings School of Global Public Health, UNC’s Institute for Global Health and Infectious Diseases, the North Carolina Museum of Natural Sciences to hold the symposium: Going Viral: Impact and Implications of the 1918 Flu Pandemic. This symposium marks the 100th anniversary of the pandemic, which killed more than 50 million people worldwide. This interdisciplinary event looks at the pandemic from several perspectives, including medicine, health, social sciences and the humanities, with speakers from the fields of epidemiology, virology, medicine, communications, literature, history, ethics, and policy. Best-selling author and journalist Gina Kolata will serve as the event's keynote speaker. RTI's President and CEO Wayne Holden will deliver the welcoming address on Friday, April 6, and Bridget Kelly will present on best communication practices during outbreaks at 11:05 a.m. on April 6.